Anti-ageing products are nothing new, and neither are vampires for that matter. But a recent trip to Boots the chemist made me think about both of these things and a connection started to form. The steady release of anti-ageing products, each launch more ambitious than the last, is impossible to miss. 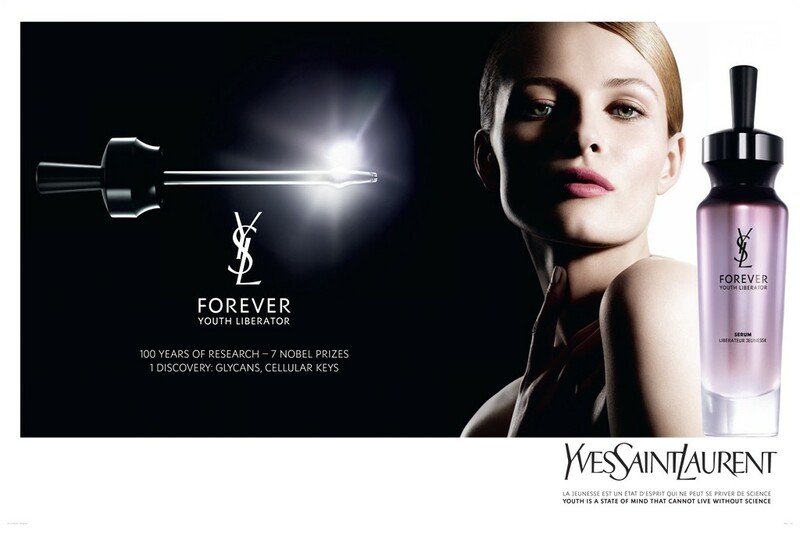 Every major brand now has at least one anti-ageing line, most have several. The advertising is far from subtle and the effect created is pretty striking when each product is lined up next to each other. As for the link between the two, well, stick with me, but they are both symptoms of a wider picture that is our society’s obsession with ageing. Trends in popular culture and media are supposed to reflect society’s preoccupations and there’s no denying we’re pretty caught up with vampires in recent years, women in particular. Jumping on the vampire bandwagon now is almost passé and there have been many attempts to figure out just why we have become so obsessed with vampires, but the interest shows no sign of abating soon. Last year saw the final Twilight release Breaking Dawn: Part II, the latest Underworld film, Awakening, season 4 of Vampire Diaries and series 5 of Southern Vampire sexfest, True Blood. So what does that say about women’s preoccupations in our society? First, look at the way the portrayal of vampires has changed in recent years. The portrayal of Dracula in the 1931 and 1958 films is like a different species to the modern vampire; the latter is much less blood sucking fiend and rather more Abercrombie and Fitch. In some aspects, the ‘vampire’ is irrelevant as it is a part of a wider trend involving all things supernatural. But there are recurring themes displayed by this vampire of popular culture: beauty, immortality –endless youth, more specifically- and material wealth. American high schools also feature heavily, but that may not be so relevant here! To me, this trend seems to mirror something in skincare and cosmetic advertising. With the incredible advances in medicine, we have lost touch with our mortality. More illnesses are consigned to history books every year (at least in this part of the world). The one certainty in life is becoming harder to talk about, as our medical technology and cosmetic innovations make us look younger and live longer. It seems to me that women from the ages of 16/18 onwards aspire to look as if they are 25 (often the age of actors portraying so-called teens in many of the aforementioned high school dramas). From then on it seems acceptable for women to have a ‘target age’ of 30, regardless of their actual age, but that is the limit. Women’s faces are expected to be frozen in time for the next couple of decades as a picture of endless youth; rather like a vampire in fact. Elizabeth Arden- ‘Daily Youth Restoring Serum’. 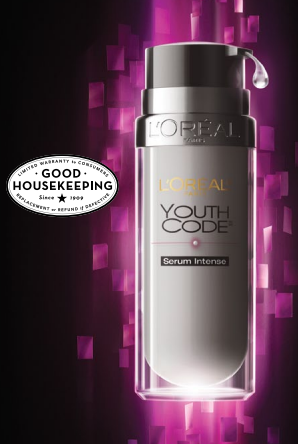 L’oreal- ‘Age Perfect Cell Renew’ and the ‘Youthcode’ line (repeat offenders, apparently). There have been real scientific advances in skincare in the last few years and no doubt, we are on the cusp of further innovation. There’s nothing wrong with women learning to take better care of their skin. Furthermore, brands wouldn’t be fulfilling their purpose if they didn’t capitalize on this concern, although it is hard to draw the line between that, and creating a concern/desire. Indeed, the purpose of looking young is to emulate health and physical prime, who can be blamed for wanting that? But, clearly, we can’t all be 25-30, all of the time. It cannot be right, or healthy, for several generations of women to aspire to look like such a narrow age range, at the exclusion of all others. We are not vampires or supernatural beings, we are human. To be human is to age, with the hope of acquiring wisdom and experience as we do so. A society that goes to increasing lengths to hide any evidence of this experience and appears not to honour the signs of this wisdom, is probably not such a healthy one. Next Post The Gentrification of Popcorn: the Notting Hill of the Snack World.